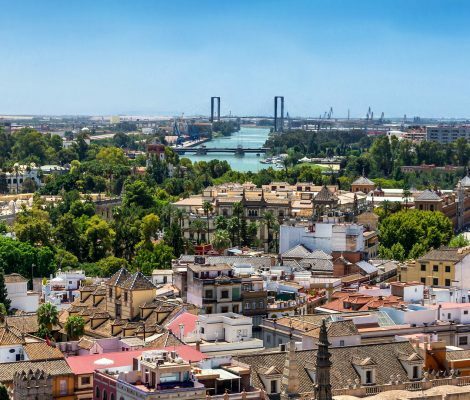 Seville boasts a joyful spirit, great weather, unbelievably beautiful gardens and buildings, delicious cuisine and breathtaking art, above all, lots of art. The city is a delight any time of year, but if you catch the April Fair it’s simply stunning. 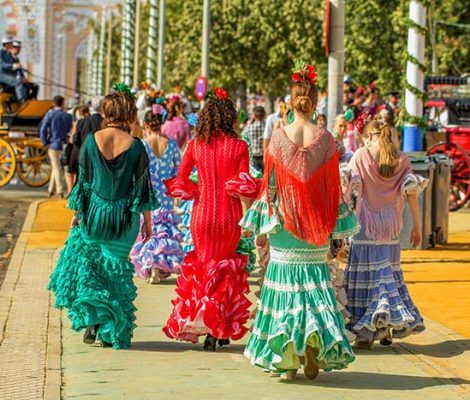 This year, the April Fair in Seville takes place from Saturday 14 April to Saturday 21 April. Don’t miss out and get packing for your trip to Seville. 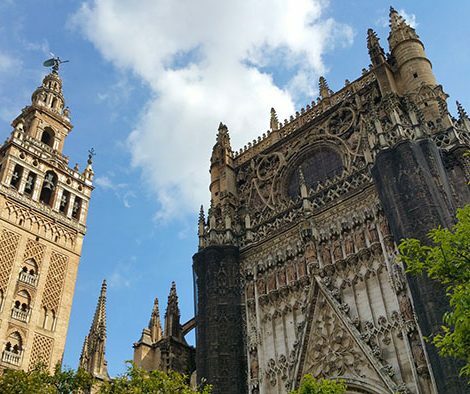 If you’re wondering what to see in Seville, make sure you don’t miss its cathedral. Declared a World Heritage Site by Unesco in 1987 together with the Real Alcázar and the General Archive of the Indies, today Seville cathedral remains one of the most popular and admired buildings in the city. Let’s take a closer look! 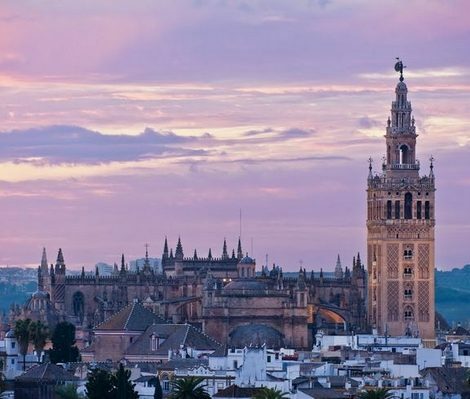 Seville has so many architectural wonders that it is easy to overlook more than one as you dash between the Alcázar, La Giralda and Plaza de España. Don’t make this mistake with the magnificent San Telmo Palace. 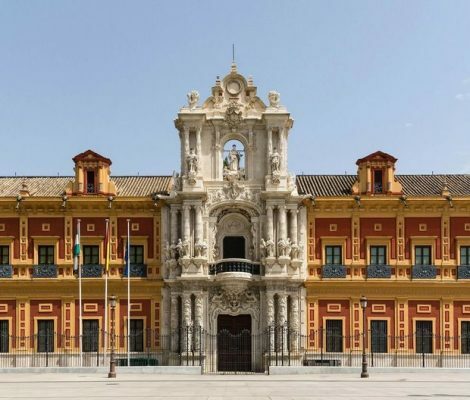 This beautiful, majestic Baroque building, once the Seminary School of the University of Navigators, makes its presence felt throughout the city. On the other side of the River Guadalquivir, Triana is one of the most charismatic neighbourhoods in Seville. 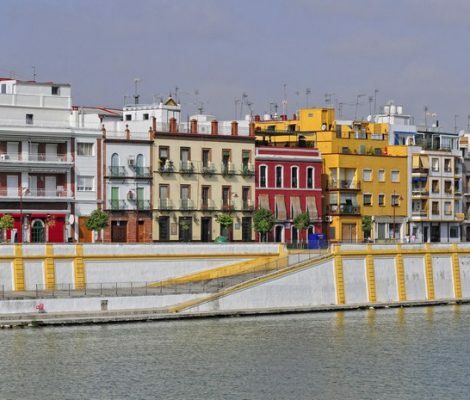 Birthplace to Flamenco singers, sailors and bullfighters, Triana is proud of its distinctive character, which makes it practically its own town within the city of Seville. There are many tales and legends an old storyteller with lively eyes and wrinkled hands could tell you about Seville on a moonlit night. Unfortunately, we have neither the old storyteller nor the moonlit night but we do have a bag full of tales and legends to tell you about Seville. 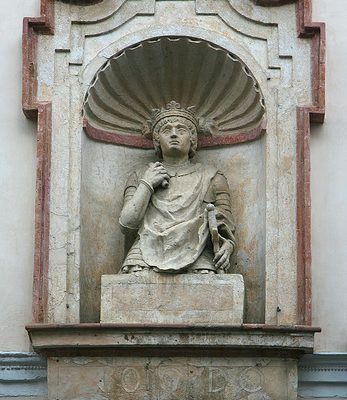 I have visited Seville twice in the last few years, the first to do some sightseeing and discover the city. The second time to immerse myself in the vibrant life of the city and enjoy myself. Looking forward to my next visit, I would like to share what I most liked about the Andalusian capital with you. Here is my list of 13 things to do in Seville. There is a reason why Seville is known as the frying pan of Spain, it is hot. Not just hot but really hot, the adjective scorching doesn’t do justice to the extreme heat of Seville in August. 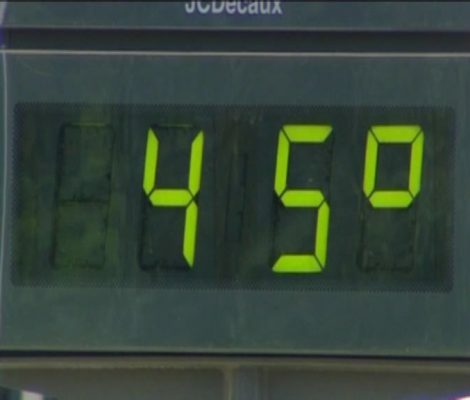 With summer temperatures hovering above the 40º C mark that’s 104º F for those across the pond. 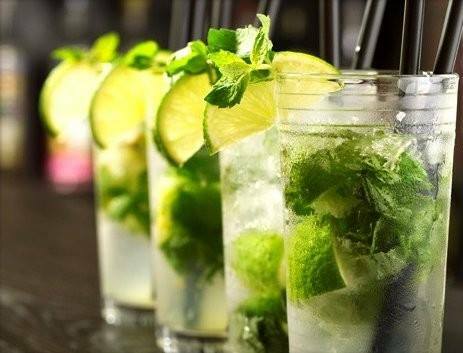 Following these simple tips will help you beat the heat in Seville this summer. Bullfighting is something which raises passions in Spain. For some it is a bloody, tortuous spectacle in which the toro bravo has no chance of survival against man, sword, horse and cape. 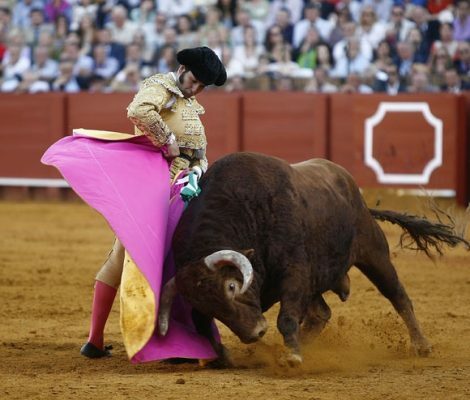 For others it is a majestic art in which man’s bravery is pitted against the bulls in an even contest. Whatever you may think of bullfighting, in Seville it is a tradition and the Plaza de Toros de la Maestranza is one of the best venues in Spain to watch the event.